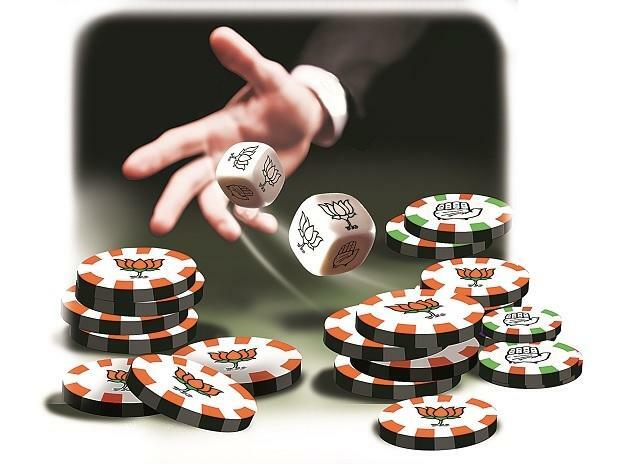 The satta bazaar, or the illegal betting market, is bullish on the Bharatiya Janata Party (BJP)-led National Democratic Alliance (NDA) winning the upcoming general elections and forming a government for a second consecutive term. Sources in the satta market say the BJP’s prospects have improved after India carried out an air strike last month on a training camp of the Jaish-e-Mohammed inside Pakistan in retaliation for the Pulwama attack. 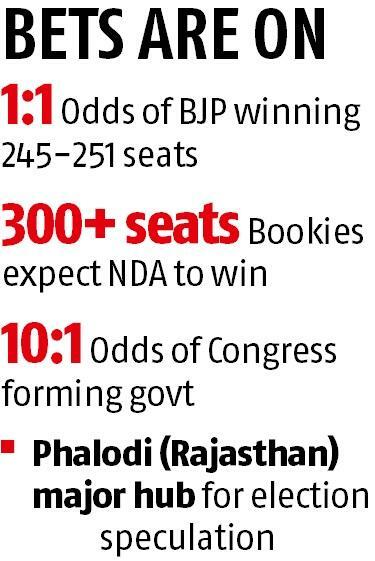 Prior to the strike, bookies were expecting 200-230 seats for the BJP in the coming polls, for which they were offering 1:1 odds (Rs 1 win for every rupee bet). But now they are anticipating 245-251 seats for the party and over 300 for the NDA, more than enough to form the next government. The odds of the Congress winning 200 or more seats were 7:1 (Rs 7 win for every rupee bet) before the Pulwama attack. The odds on the same are now 10:1. Election betting in the satta market, which was thin until the elections dates were announced, has begun to gather pace. The Lok Sabha elections will be held between April 11 and May 19 in seven phases. May 23, the day of counting and announcement of results, will also be the expiry date for trades in the betting market. The air strike has revived confidence in the government over its handling of terrorism. Speculation in election-related trades is a grey market, similar to the betting that takes place in cricket or dabba trading in equities and commodities. For election trades, Phalodi town in Rajasthan is considered to be the hub and major markets such as Mumbai and Delhi are guided by trades in Rajasthan. While it is still early for data from this underground market to emerge, punters expect bets being placed on granular details such as on states and constituencies. Finer quotes will be available once candidates’ lists are announced and leading political parties come out with their manifestoes. Rates will also change as more players place bets and volumes increase. This election, punters expect caste equations to play an important role, which can still swing votes, said a source. Another person dealing in election speculation said traders and farmers also have potential to swing votes. Traders feel they have suffered because of the NDA’s policy changes such as demonetisation and the implementation of goods and services tax. Lower prices for major crops and inefficient procurement machinery except in a few commodities have resulted in farm distress. Even Congress’ Prime Ministerial candidate can make some impact on the seat tally, though punters see no chances of a Congress-led alliance forming a government. However, if Priyanka Gandhi is announced PM candidate, some shift towards the Congress is likely, according to punters.